The elite competition, sponsored by R&D Magazine, recognizes the 100 most innovative technologies of the previous year. Winning projects have included sophisticated testing equipment, innovative new materials, disruptive chemistry breakthroughs, new biomedical products, breakthrough consumer products and new technologies spanning industry, academia and government. A total of 130 R&D 100 Awards have gone to Argonne scientists since the competition began in 1964. RAINet is an artificial neural network that automatically identifies physical parameters of molecules in the gas phase by their rotational spectra. Compared to mass spectrometry, rotational spectroscopy conveys richer information on chemical species. RAINet enables rotational spectroscopy by streamlining conversion of spectral information to chemical composition. Their submittal proposes a revolutionary technology (HyMag) that significantly increases the usable magnetic flux density of a permanent magnet by 10%-30%, leading to a dramatic improvement in energy efficiency of electric motors and wind turbine generators. HyMag are less expensive and more environmentally friendly, with 60-90% lower heavy-rare-earth materials consumption. Darshan is a software product used to understand and improve the performance of the world’s largest data-intensive computing applications in fields such as physics, cosmology, chemistry, biology, aerospace and earth science. It has become the de facto standard for optimizing scientific data access in government, academic and industry computing centers around the world. GRID-M is offered at no charge to the Federal Emergency Management Agency (FEMA), which sponsored its development, and will be free to all Federal sponsors. It enables near-real-time analysis of the physical infrastructure dependencies of supply and demand nodes (e.g., grocery store, utility substation) within a given jurisdiction following a disruptive event, such as an operational contingency (e.g., grid blackout) or natural hazards — the two most common types — or disruptions arising from terrorism or political instability. By scaling the complex supply chain processes to a manageable paradigm, GRID-M reduces the otherwise daunting computational load associated with providing such information in real time. It then analyzes recovery and restoration of service by tracking data in six lifeline infrastructure systems — electricity, natural gas, steam, telecommunications, water and wastewater — within a given supply chain. Emergency planners/managers and public safety officers can customize the tool to consider the critical infrastructure, represented as supply and demand nodes, of the supply chains of greatest significance within their jurisdictions. 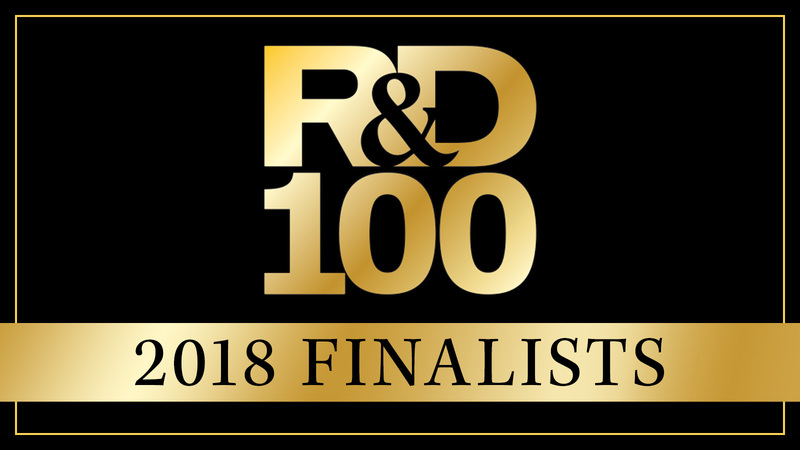 The R&D 100 Awards span five categories: Analytical/Test, IT/Electrical, Mechanical Devices/Materials, Process/Prototyping and Software/Services. For the third year, the R&D 100 Awards Committee will also honor excellence with four Special Recognition Awards: Market Disruptor Services, Market Disruptor Products, Corporate Social Responsibility and Green Tech. The competition’s 180 finalists were selected by an independent panel of more than 50 judges representing R&D leaders in a variety of fields. Winners will be announced November 16 at the 2018 R&D 100 Awards and Technology Conference in Orlando. Wozniak researches and develops workflow systems for high performance computing. Four Argonne research projects have earned R&D 100 Awards, long considered the ​“Oscars” of scientific innovation.